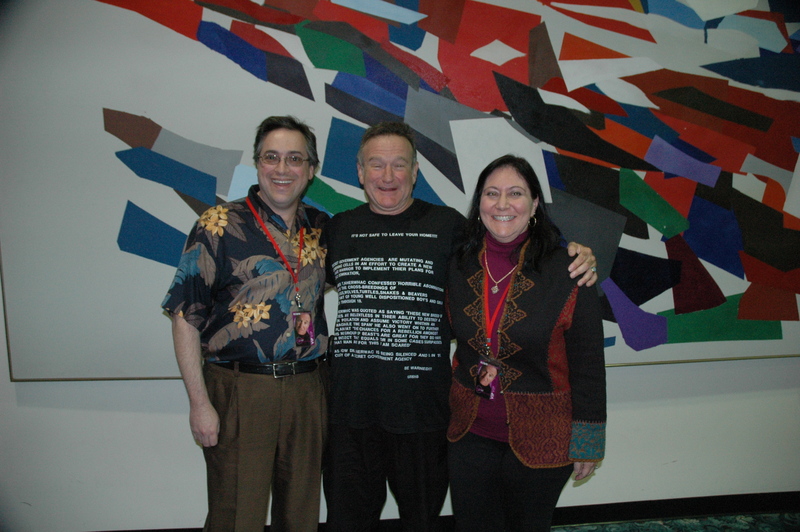 The college visit across the border today meant that for the most part, I was off the grid, so it wasn’t until after I was back in the U.S. and had opportunity to call my husband, that I learned the devastating news that Robin Williams had died by his own hand. To put it simply, I am heartbroken. I am also, sadly, not horribly surprised. I, along with most of the world, knew he’d battled some fairly vicious demons throughout his career, and while I’d hoped he’d managed to wrestle them into some form of submission, I also had that niggling sense that those mean little fuckers weren’t necessarily done with him. After all, the demons, they want the best and the brightest and the most brilliant and in Robin, they had a sterling example. He made me laugh during some of the darkest moments of my life, teaching me how to find the humor in the dark and the absurd in the unthinkable, and he made me laugh during some of the absolute best moments of my life. In fact, during labor with both of my children, I brought a portable CD player into my hospital room and listened to Live at the Met—the hospital staff thought I was nuts, I was laughing too hard to care. And when years later, I was able to finally fulfill a lifelong dream and not only see him perform live, but meet him, I was able to tell him that story. His response? To which I responded, “No, that’s what got me there in the first place,” and which elicited a surprised, genuine laugh from this lovely, gentle man. Because that’s what he was—the epitome of the word gentleman and I am forever grateful I was able to share that one brief moment with him. It was but one of a million for him, but one in a million for me. I hope the demons, having finally claimed victory, finally allow you to rest easy Robin. You will never, ever be forgotten. Ten days post surgery, I nearly bust my stitches laughing. What a brilliant night. Kori – I’m just getting back into scknpbooriag now that I have a new baby and this is so beautiful and is giving me so many great ideas! Thanks for making this website! !